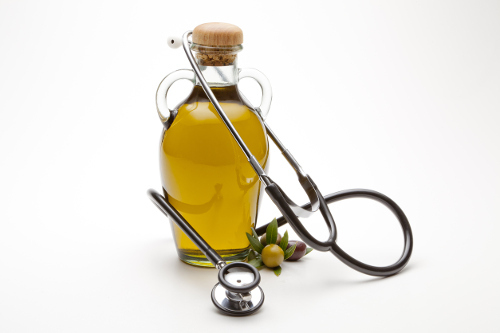 Home » General Health » Can You Use Olive Oil for Ear Infections? Can You Use Olive Oil for Ear Infections? Ear infections are terrible! They can cause excruciating pain as well as problems with your balance and equilibrium. Ear infections can also be gross, with various fluids leaking out of your infected ear. Wouldn’t it be awesome if there was a simple, natural remedy for ear infections? (Or, at the very least, a home remedy that could help with ear infections). What if we told you that you could use olive oil for ear infections? We’re going to take a look at using warm olive oil for ear infections, how to use olive oil for ear infections, and things you need to know before you attempt to use olive oil for ear infections. Is Olive Oil Good for Ear Infections? Is olive oil good for ear infections? It’s a pretty simple question that needs to be answered before you start pouring olive oil into your ear canal. The answer is yes. Olive oil contains a number of antibacterial and antiviral properties that could help clear out ear infections, and it’s also helpful in reducing inflammation. Olive oil is also very effective for helping to get rid of ear wax and ear wax blockage. Now that you know that olive oil can be used as natural remedies for ear infections, let’s move on to how to get rid of ear infections using olive oil. There are several ways you can use olive oil as ear infection home remedies. Most of these are very easy to put together for your home remedies. Warm olive oil can help relieve pain, infection, and inflammation and can be prepared in the simplest of ways. Take some olive oil and warm it slightly (don’t get it too hot as boiling oil can do serious damage to your ear). Take an ear dropper, load it with the lukewarm olive oil, and drop it into the infected ear. Place a cotton ball at the opening of your ear in order to keep the oil inside. Repeat this a few times a day for several days. This will not only help clear out the ear infection, but it should also help relieve the pain of the infection and get rid of any wax build up or blockage that may be occurring. While olive oil has many properties that make it a great home remedy for ear infections, there are a few things that can be mixed with it to give it an added boost. In this recipe, you use olive oil, tea tree oil, apple cider vinegar, and a dash of colloidal silver—all of these are well known for their antibacterial and antiseptic properties. Mix together two tablespoons of olive oil, three drops of tea tree oil, one teaspoon of colloidal silver, and one teaspoon of apple cider vinegar. Warm the mixture slightly. Lie down with the infected ear facing the ceiling. Using an ear dropper, drop a few drops of the mixture into the ear and allow it to seep in. Leave it for five minutes before you flip over and allow the infected ear to drain (you should probably get a paper towel or cloth for the ear to drain on). Repeat this two or three times a day. Cinnamon can help increase the effectiveness of the olive oil on your ear infection. Take two tablespoons of olive oil and a dash of cinnamon. Warm the mixture, and using a fine sieve, strain the mixture. Take an ear dropper, and place three drops into the infected ear. Allow it to sit for a few minutes before draining. Repeat this twice daily. Combine the properties of olive oil and peppermint oil by taking five drops of olive oil and mixing it with one drop of peppermint oil. Pour the mixture into the ear and allow it to sit for several minutes before draining. Use one teaspoon of mullein flowers and a half cup of boiling water to make a tea. Let it cool and then combine one teaspoon of the tea with one teaspoon of olive oil. Let this mixture steep overnight. The following day, place a few drops of the mixture into the infected ear. Repeat a few times each day. Combine two tablespoons of extra virgin olive oil and one large garlic clove, finely minced. In a small saucepan over low heat, warm the olive oil. Be sure not to get the oil too hot as you don’t want the oil to smoke or get warm enough to sauté the garlic. Allow the mixture to cool to slightly above room temperature. Strain and using an ear dropper, put a few drops into your ear. Allow it to sit for a couple of minutes before draining (or place a cotton ball in the ear to keep the mixture in the ear). Repeat this process twice a day. The most important thing to remember is that if the infection does not clear up after a few days, go see a doctor. It may not be an ear infection at all, or it may have become so severe that home remedies for ear infection are not enough to clear it up. You may need medications or antibiotics to tackle it in that case as letting it go beyond that point may allow the ear infection to cause damage to the ear. If possible, use medicinal olive oil as opposed to the olive oil from your kitchen. Medicinal olive oil is a bit more antiseptic and may produce better results than regular olive oil. It should also be noted that if you are allergic to olive oil or any of the other ingredients, you should not use those home remedies. Allergies will trump the healing properties of olive oil and cause added issues to your healing. Furthermore, refrain from using these home remedies if your ear drum is perforated or ruptured. Always clean out your ears after long periods of contact with water such as with showers or swimming. This water may contain bacteria that can lead to ear infections. In fact, you could put a couple of drops of olive oil in each ear prior to your swim or shower. Again, when warming the olive oil or any of the above home remedies, make sure to keep it to lukewarm temperatures. Boiling oil can do serious damage to your ears and skin. Olive oil has many medicinal properties, all of which can help out with cleaning up an ear infection and protecting the ear from future infections. Just be mindful of following the directions for the home remedies that we’ve laid out and the infection itself. If the infection persists beyond three or four days, go see a doctor to get a proper diagnosis. “Olive Oil for Ear Infection,” Home Remedies for Life, September 20, 2015, http://homeremediesforlife.com/olive-oil-for-ear-infection/, last accessed June 7, 2017. “6 Unbelievable Ways to Use Olive Oil for Ear Infection,” Home Remedy Hacks, October 12, 2016, http://www.homeremedyhacks.com/6-unbelievable-ways-use-olive-oil-ear-infection/, last accessed June 7, 2017.